After not daring to post pictures of my deathly face for a few weeks while i was poorly i'm back with my second FOTD in a ROW!! 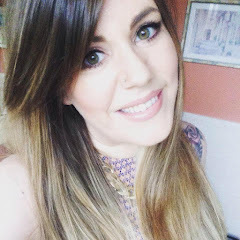 Not totally intentional but I was invited to my friend Ange's wedding at the weekend and was so chuffed with my new dress i thought i'd put together a post showing you what i wore on my face as well as my outfit. I've never actually done an OOTD/N before!! Apologies that i don't have a full photograph of my dress but i didnt get a chance to ask someone to take one for me. Soooooo here's what i wore!! I love the colour of this! They also had it Teal and Black but purple seemed like a perfect seasonal colour and i will most likely wear this for Christmas lunch with the family as we are eating OUT this year and i haven't spent Christmas day with them for the last 3 years due to either living abroad or having to work. Coinsidentally the shoes are also from New Look (a few years ago now so i don't recall the price). I'd originally intended on black tights and black patent heels but thought that might be a bit too GOFFIK for a wedding so went for cream with tan tights (thread veins, cellulite and bruises prevent me from going bare legged). My handbag is missing from this OOTN as i don't actually own a cream bag and ended up having to borrow one off my mum. Weirdly, this is the only item of jewellery i wore! Not quite sure why. It was about £5 from Virgin Vie (again a while ago so can't remember exactly). Its a little bit mucky so will have to break out the vodka and get polishing. YES vodka and a cotton tip is the BEST way i have found for cleaning silver jewellery. Strange but true!! Because of the time of year i just HAD to accessorise my outfit with my poppy. Its so important to remember those who fought and those who fell AND those who are still fighting. Utmost respect to all our servicemen and women past and present. I went to town a bit on this one as i really don't get out that often and i don't always get to play with that much of my make up collection on my everyday make up looks. Took full advantage of the purples in my collection to compliment the dress. I didn't do a lot with my hair. I just put a few hot rollers in my hair extensions while i was doing my make up just to give it a bit of movement and finished with a layer of hairspray. Still LOVING my new fringe too!! Will finish the post with a photo of the GORGEOUS Mr and Mrs Carr. I had such a lovely evening and i'm so grateful to them for giving me the opportunity to get glammed up again!! Don't you just love a good party?! What items in your make up bag do you keep for special occasions?? Will you be investing in a new party frock this Xmas?? Sleek: The 'Highlight' of my Week! !